On and off for a couple years now my husband and I will go through moments where we try to conceive. Ultimately we would love for it to just happen. Since it never seems to sometimes we try to push it along. I never wanted to be so stressed out that all I could think about what trying to conceive. So we tried to be casual about it. Now that I'll be turning 30 in May I'm realizing I might need to start taking this a bit more seriously! Since we haven't consistently TTC (tried to conceive) for 6 months to a year steadily we're not actually supposed to be worried about fertility or having tests done. We could if we really wanted to but before we bear that expense I decided to do a little research online. Well anyone who knows me well knows I tend to research things to death. There really isn't other way to put it. I know I do it so there it is. There are many reasons I do this. To be sure I have as much information as possible to make an informed decision. To be able to have a come back for any holes in my investigation my husband manages to find. Because once something is on my mind and I have questions I might not be able to sleep until they are answered! So it might seem a little crazy but at the end of the day crazy usually wins. And I really think it's one of my quirks that my both really loves and hates about me. Hey, he knew what he was getting into! Upon my crazy researching I stumble upon this YouTube video (click the link to the right to watch it). It was about a girl named Sabrina who had been battling PCOS (Poly-cystic Ovary Syndrome). In laymen terms it's a disorder where your hormones are out of balance. Often times it keeps women from getting their period which in turn prevents them from getting pregnant. Sabrina had been suffering from PCOS for over 2 years with no luck getting pregnant because of it. Somehow she found out about an all-natural fertility cleanse and decided to try it. Before the 30 day cleanse was over she was pregnant (it is not recommended to TTC during the cleanse as some of the herbs are great with cleansing your body but are not recommended for a pregnant woman). Of course after seeing her video I wanted to learn more! How To Get Pregnant - Natural fertility tips, answers, herbs, supplements, diet, progesterone, studies and videos all at one place. 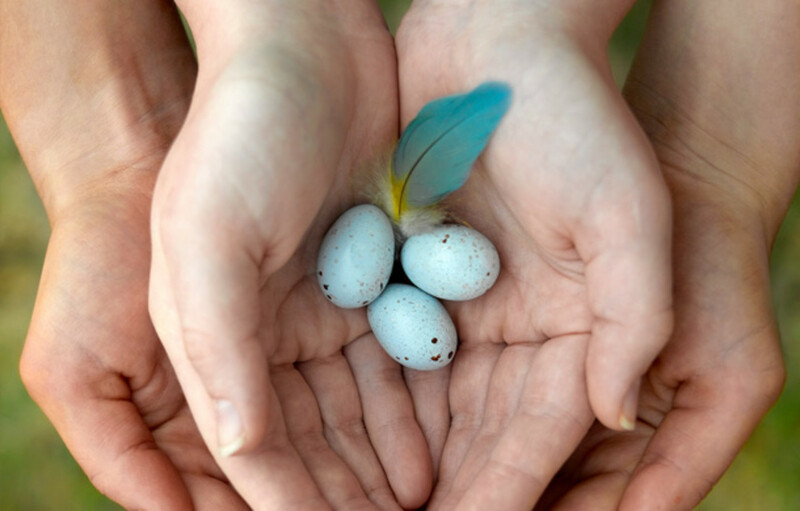 Find your natural fertility information here. Next was finding the Fertility Cleanse she was talking about in this video. I did a google search and voila! Natural Fertility Info's site came up! Through it I got to learn about Hethir Rodriguez who is the founder of the Fertility Cleanse. The site was full of testimonials, videos of Hethir, and information on trying to healthfully cleanse your body and naturally make it more fertile. Too good to be true? Well, that's what I'm here to find out! Essentially, it cleanses the liver and uterus to not only help you to conceive more easily but to create a healthier environment for your baby to grow in. I plan to start the cleanse by the end of this week and will add new hubs to update what the cleanse is like and what I am feeling during it. Based on reviews I've read there can be side effects but most often there aren't. I will then add any hubs after the cleanse is complete noting differences in how I feel. Now the cleanse isn't a cure-all. If it turns out my or my husband's fertility is low then that is a huge contributing factor in our conceiving. The way I've chosen to look at it is that it can't hurt. It's natural herbs and teas and if anything I at least feel better after having taken it. If it works so well I end up conceiving quickly then I will be very grateful. However I'm no so misguided that I believe this will just magically fix everything! This phase consists of a Milk Thistle Seed Extract which you mix with water 2-3 times daily. 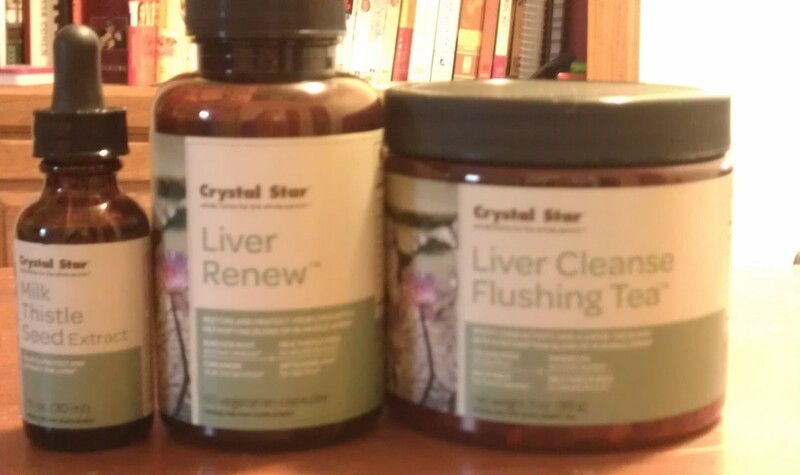 Liver Renewal Capsules which you take twice daily and a Liver Cleanse tea which you drink 1-2 times daily. As I said above, Phase 1 is your menstrual cycle. Phase 2 is when you actually get into the cleanse which starts the day after your menstrual cycle ends. Having been on Accutane when I was younger (which I've had hormonal imbalances ever since), and being prone to urinary tract infections I've been on enough medications to know I have to have some sort of hormonal imbalance. Now I've brought it to the attention of physician's but they've paid me no mind. So I feel this phase will be pretty imperative to my actually conceiving. 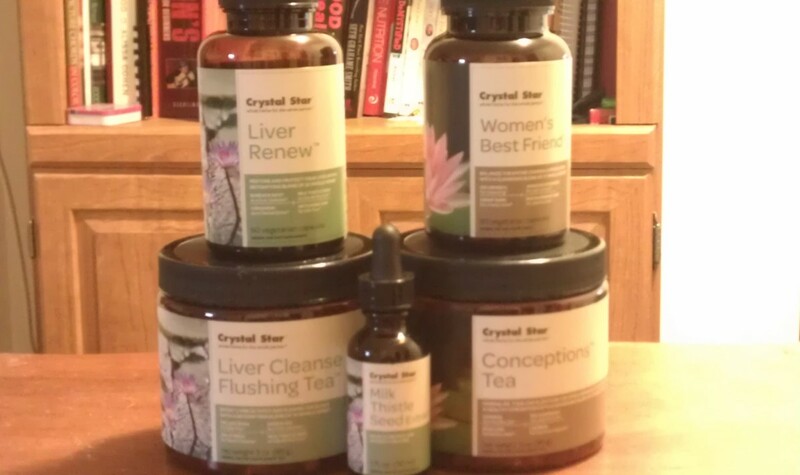 The Liver filters everything that goes in and out of your body, including hormones. So it stands to reason if there is any chance your hormones could be off balance this would be the first organ to attack (I mean cleanse). Through an article on Progesterone on Hethir's site I learned that I might have too much estrogen in my system. I learned that I have 12 out 19 symptoms of estrogen dominance. This could likely be caused from hormones in meats that I've consumed, processed soy products (processed soy products can mimic estrogen in your body), or even stress. So this step is very important if you are having trouble trying to conceive as it could be from something as simple as hormonal imbalance! 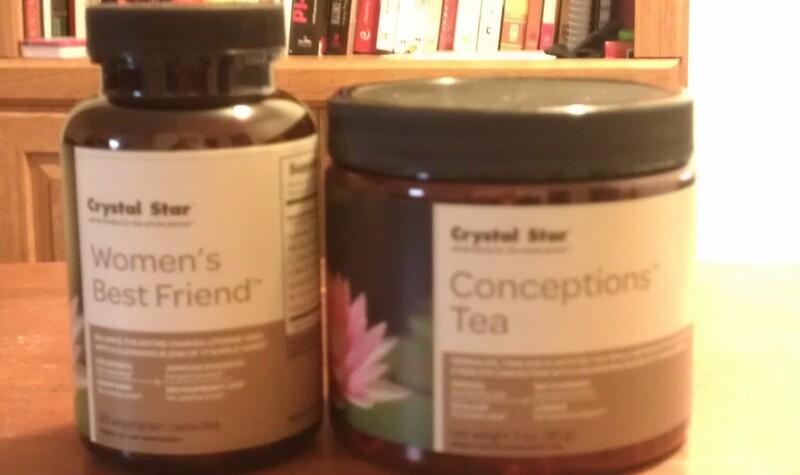 Phase three consists of Women's Best Friend capsules taken twice daily and Conceptions Tea drank 2-3 times daily. This phase is focused on cleansing your uterus. This phase also helps with excess hormones stored in the uterus but it's mostly for cleansing out old blood from your uterus. Yup, just like you, I assumed that any blood in my uterus was removed during my menstrual cycle. Apparently it isn't always. So getting everything cleaned out can help you to feel better, conceive easier, and have a regular menstrual cycle! Um...yes please! Oh, and it's also supposed to alleviate those pesky PMS symptoms. Who wouldn't want that?! In addition to the Fertility Cleanse, Hethir's site enlightened me to other things I could do to help with conception. I could add things to my diet such as Maca Powder, and Royal Jelly. I can also do what's called a Fertility Massage and use Castor Oil Packs. Don't worry, I only knew what Maca Powder was and that was because I did a brief stint as a Raw Foodist a few years back so I actually had that on hand! Maca Root is known to increase your libido, balance your hormones, increase sperm count in men, and improve egg health in women. Royal Jelly is what worker bees secrete that allows the Queen Bee to reproduce. Sounds gross, right? Well, it's the texture of honey, and looks just like it too. You can get it in capsule form if you'd rather and pour the contents of the capsule into a smoothie. Or you can use the real stuff in your smoothie and not even know or taste that it's there. That is what I do. It is not recommended if you have any type of bee or honey allergy. It helps to support your endocrine system and balances hormones. It's also rich in vitamins D and E.
Fertility Massage is a self-help DVD that Hethir offers which helps you to learn massage techniques which can increase your fertility. Fertility Massage can do things such as balancing your hormones, increasing circulation to your uterus/ovaries, and reducing stress. Castor Oil Packs are great for detoxifying prior to conception. They can aid in alleviating multiple symptoms such as blocked tubes or ovarian cysts. They can also increase circulation to tissues beneath the skin. In case you don't wish to read the article I have on Castor Oil Packs I will explain how to use them. You use a piece of flannel fabric (although someone asked in the Natural Fertility Community if other fabrics can be used and Hethir confirmed that a clean piece of fabric such as Cotton is fine if that's what you have but the oil will stain whatever you put it on). Soak the fabric in Castor oil (be sure not to use on broken skin as it is for external use only) and place it on your lower abdomen. Cover the fabric with a sheet of plastic and then place a hot water bottle or heat pack on top of that. Cover it all with a towel and then just lay there and relax. The site does have a precaution up that Castor packs should not be used if you are pregnant, nursing, or menstruating. You will lay with the pack on your for 45-60 minutes. Once done you will cleanse the area with a water and baking soda mixture and then store the Castor oil fabric in an airtight container in the refrigerator to be re-used. Can be re-used 25-30 times. I look forward to questions and comments! Happy Conceiving! I have completed Phase 2 of the Fertility Cleanse. I really didn't have any side effects. I have a lot more energy than I use to and I feel lighter. I've lost a few pounds (that was a no brainer with all the added fluids). All in all I feel good. I am now in Phase 3 until I start my menstrual cycle. I will say, the tea in phase 3 is horrible! I usually drink teas with no sweeteners whatsoever. But this one I find myself added honey or agave nectar to every time I drink it (which is 2-3 times daily as directed). So far so good! Sorry guys! I was not getting e-mails that anyone was interested in further updates from me on this! I did finish the cleanse. The tea was awful and hard to drink but I managed. I did feel better and had more energy but I found out a few months later that from medications I had been on as a teenager that I needed to see a hormone specialist. Currently I am on progesterone supplements because my progesterone was way too low. I'm sure the cleanse helped it so it wasn't non-existent but otherwise I still needed additional help. I'm giving the progesterone a few months before we start TTC again. I had a lot of personal things happen too which is what stopped us from TTC right away after finishing this cleanse. Would I do it again, yes! I would definitely try it again if we have trouble while still on the progesterone before seeking more expensive and intensive fertility treatments. You can join the forums and read updates from people and things they did to boost the cleanse before you even buy it which is what I did but I couldn't always afford to do EVERYTHING! A Blighted Ovum Should NEVER Be Diagnosed Before Nine Weeks! Dealing With Pregnancy: It's A Pain In The Pelvis! I think that your review was very thorough. I am just doing the cleansing now. I must say too much fluids have cleared my face. i am in phase 2 and feel some twinges in my ovaries not sure why. May be cleansing is going on. Also i have been itching near the neckline a lot and during the night my whole body itches. SO i end up taking a warm bath at night during phase2 . I don't think that's weird at all. If it's natural I know I can at least try it and not worry too much. If it works, great. If not at least I'm not out a ton of money! Sorry for the delay. I definitely felt better right after doing this cleanse. Don't get me wrong, the cleanse was hard. Mostly because of the awful tea towards the end of it. However, my husband lost his job shortly after I completed the cleanse so I did not get pregnant because we had to stop trying. When things are a bit better for us financially we will start trying again. Hopefully this year sometime! I do recommend it though because what's $75 when it could work compared to the cost of tests and experiments at your doctor's office! I read a ton of stories of people it worked for and they have their own community through their website where you can actually interact with people that have done it and had success which I felt was really encouraging! 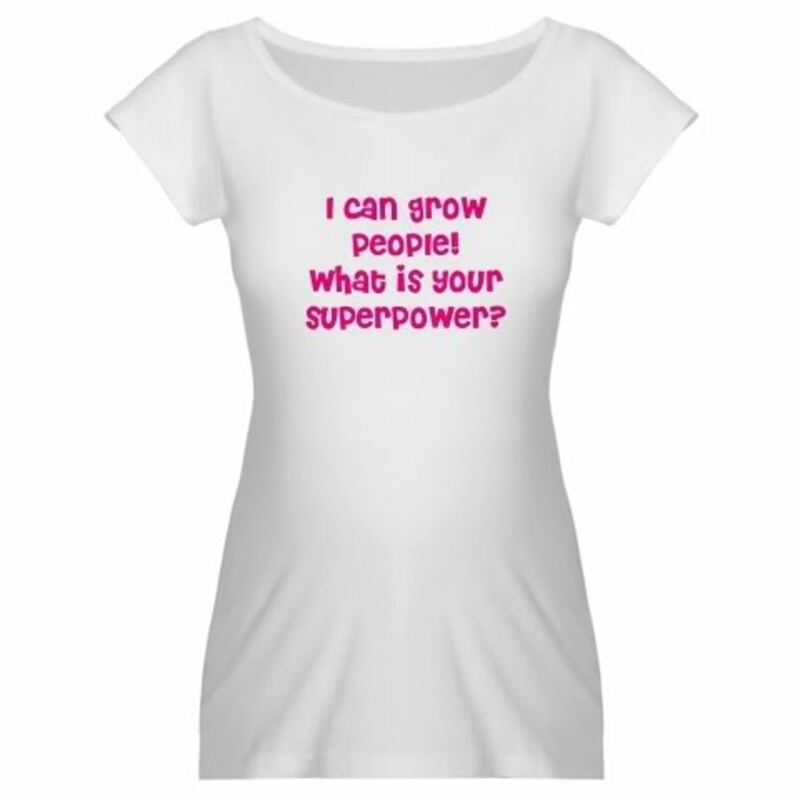 I love the stuff they sell at natural fertility info. Hi, I'm interested to know if it works? It's been almost a year since you updated, so what happened? Did it work? Hi Vanessa I too am interested in an update after the cleanse? Great article - thank you- but what happened next? Did it work? What were your final results from the cleanse? Very Curious. im going to surely try all the steps im 27 and im ready!!! I have come to the end of phase 2 of the cleanse. I can honestly say a lot has been going on in my body. I have small spots on my jaw line , mostly on the left side. So hence it is sure there was a hormonal imbalance. I am also sure the cleanse is clearing out a lot of stuff. I will keep you all updated at the end of the cleanse. 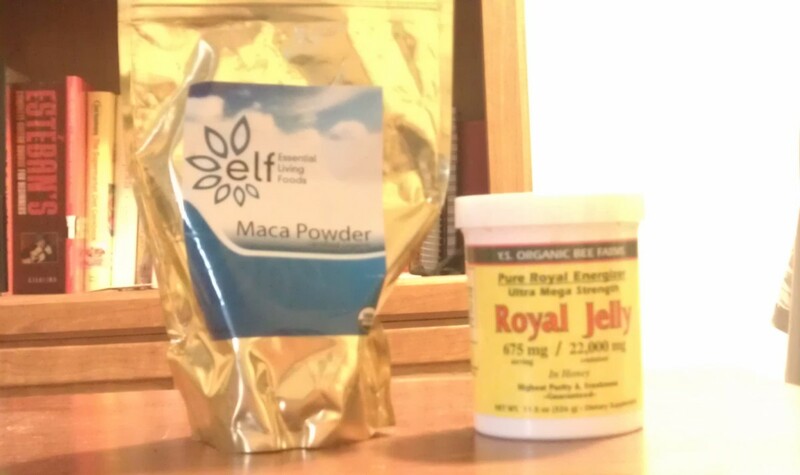 I have also purchased the royal jelly for after the cleanse. Let me know how you are all getting on. Baby dust to you all! Thanks for the recommendation! I will look into it. Just bought new chapters organic whole foods prenatal vitamins though! I'm looking forward to the entire process! I must say that I have recommended Pregnacare to all my friends who are trying t get pregnant. It is a multivitamin designed for pregnant women but it has helped so many people I know conceive that you really should give it a try. You can find it at Boots and other major pharmacies. It's not expensive and really is worth a go. Good Luck!